Expect highs in the lower to middle 90's (even hotter closer to Nashville) for much of our area today. Counties from Wilson (Lebanon) westward under a Heat Advisory until 7 pm. While Putnam and surrounding counties are excluded from the advisory, it'll still be hot with heat index readings running around 100° this afternoon. Temperatures were already in the middle 80's early this morning. Next rain chances are likely arriving late Friday into Saturday with not much of a cool-down. More in the forecast link below. 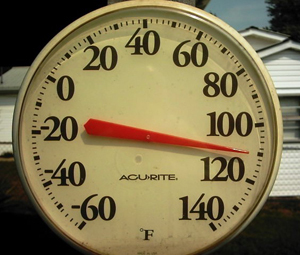 Do you know your Heat Safety Rules? Get educated now! What is causing the current heat? Answer's here!